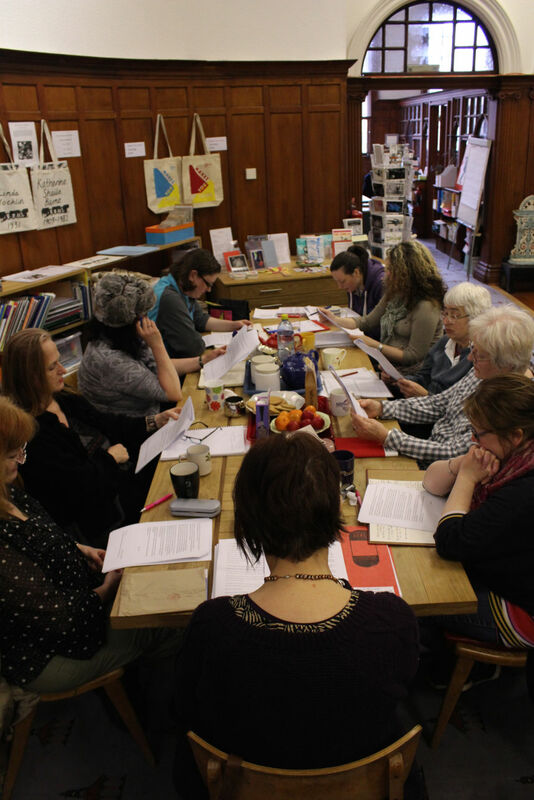 In March 2015 we published our anthology of women’s writing gathered in the course of the Mixing The Colours project and as part of our Dragon’s Pen Writing Competition. The anthology features specially commissioned works by Magi Gibson, Denise Mina and Eleanor Thom. Participants in the project have said that the key way in which women could address sectarianism is by participating in workshops and writing about their experiences. The publication came out of suggestions from learners in 2012 that said their engagement would be better supported by a dedicated publication. 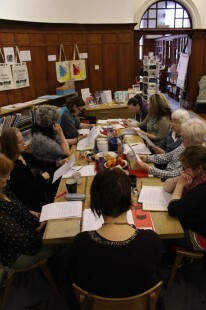 To date 76 women have participated in 11 creative writing workshops and a writing competition. Our published writers are Nicola Burkhill, Yvonne Dalziel, Jillian Joyce, Pauline Lynch, Kirsten MacQuarrie, Emma Mooney, Julie Robertson, Ethyl Smith, Morag Smith, Ellie Stewart, Leela Soma, Marie-Therese Taylor and Catriona Grigg, Deirdre MacLennan, and Liz Treacher from Brora Community Learning Centre. The creative writing is largely fiction based on fact. For many of our writers it has been a cathartic experience, a way to put the past to rest and to examine the present. Much of the work recounts the memories of childhood and young adulthood. It conveys the words of parents, warnings about how to behave at Orange Order parades, and reflects on the feelings and challenges they experienced as children. Many of the stories share aggressive or violent incidents, forbidden friendships and love-interests. They tell of the physical restrictions placed on women as young people, places they could not or should not go, and cautions of where they wouldn’t be welcome. A few of the pieces directly reject sectarian behaviour and the perpetrators, and assign responsibility to the church, football and the patriarchal structures in our society. Sharing this work with further participants during workshops has allowed people to see and feel both Catholic and Protestant ‘sides’ of sectarianism. It has given rise to increased understanding and encouraged women to share their fears and prejudices and, most importantly, to find solutions collectively. 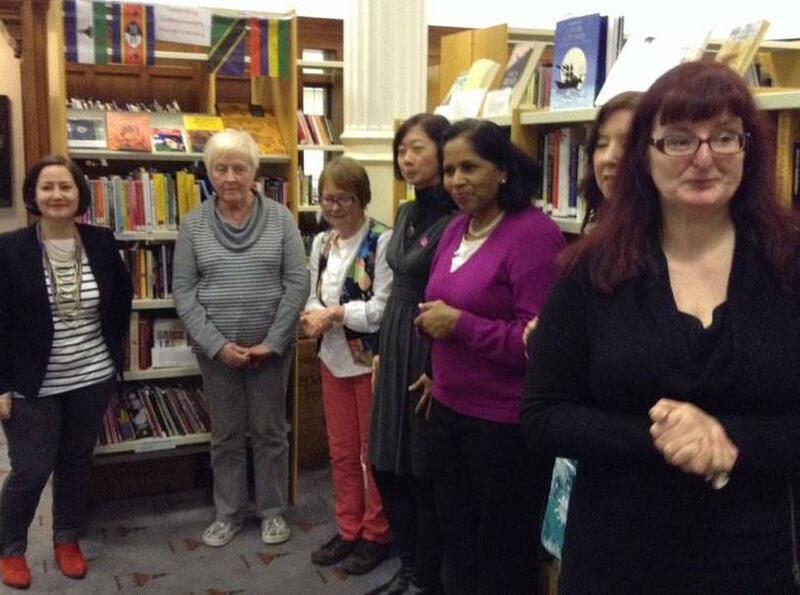 The Mixing The Colours Publication is a tangible object of women’s collective action. The look and feel is something special; the beautiful result of the project and the women who participated that gives weight and importance to their words and experiences. It is a starting point for the future, a seminal anthology of the legacy of sectarianism. 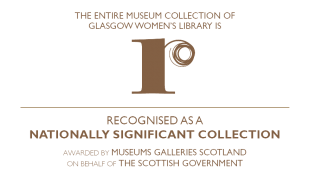 Glasgow Women’s Library also has copies on its shelves for reference.